With thorough understanding of the relevant industry, we are offering a wide range of Designer Hanger. The offered hanger is manufactured using optimum quality raw material and advanced technology by our skilled professionals. In line with different requirements of our copious clients, we customize the entire range in various sizes. This hanger has gained exceptional value amongst our clients for its defined features. We, “M. S. Enterprise", established in the year 2007 in Mumbai, (Maharashtra, India), are a leading manufacturer, exporter and supplier of superior quality Wooden Wall Hanger, Wooden Clothes Hanger and Wooden Hanger.The offered hangers are designed and manufactured using superior quality raw material that we procure from the reliable vendors of the industry. Also, our professionals use advanced machinery in the manufacturing of these products. These products are highly demanded in the marker for their precise designed, attractive design, perfect finish, durability, low maintenance, lightweight and crack resistance. 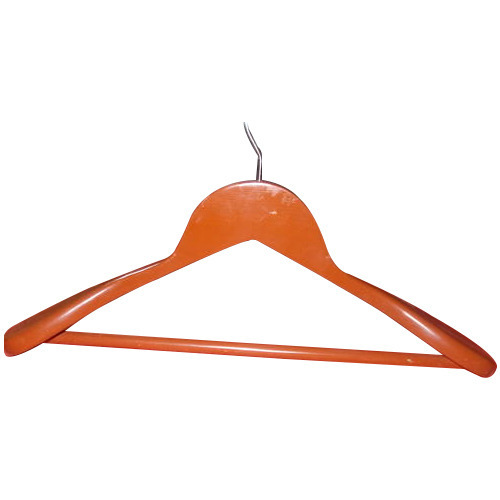 Apart from this, we also offer these hangers in various sizes, colors and designs as per the requirements of our clients.